Short hair is going to be HUGE for SS19 and at novo hair we are experiencing a big increase in demand for women wanting to go from mid-length to short, androgynous styles. 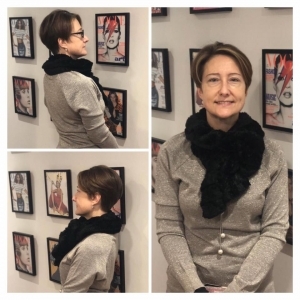 Pictured here is Susan Miller-Jones (who makes the journey all the way from Islington, London to have her hair cut and styled by salon owner Kevin Franks every six weeks at our Hockley salon). We complemented her style by adding some face-framing babylights and a cool brown gloss colour too. Susan… we love your new look!